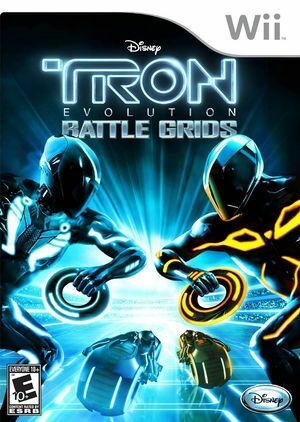 Tron Evolution: Battle Grids is an action-packed multiplayer game set around the Game Grids of the TRON universe. Developed in a unique partnership with Propaganda Games, Battle Grids features more than 15 Game Grid challenges with iconic TRON weapons and vehicles such as light cycles, light runners and light discs, with players competing with family and friends in local games for 1 to 4 players. Battle Grids also features an extensive story mode that allows users to create and evolve their own character in the quest to become the Game Grids Champion. If the Texture Cache Accuracy is set to Fast, random characters will be missing in the game's text. Setting Texture Cache Accuracy to Safe will fix this. Refer issue 10705. Safe Fixes an issue where random text characters would be missing. The graph below charts the compatibility with Tron: Evolution - Battle Grids since Dolphin's 2.0 release, listing revisions only where a compatibility change occurred.